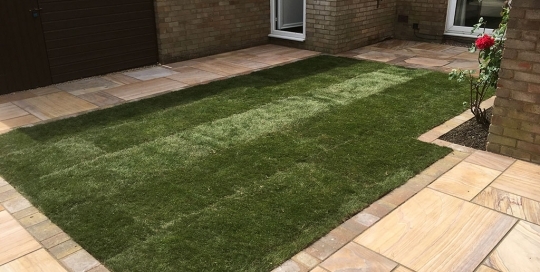 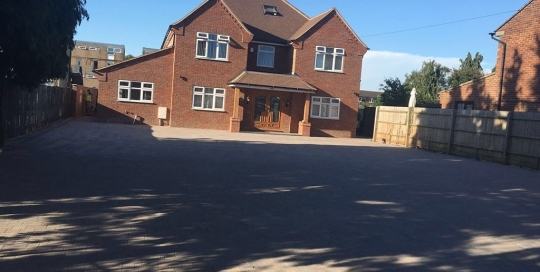 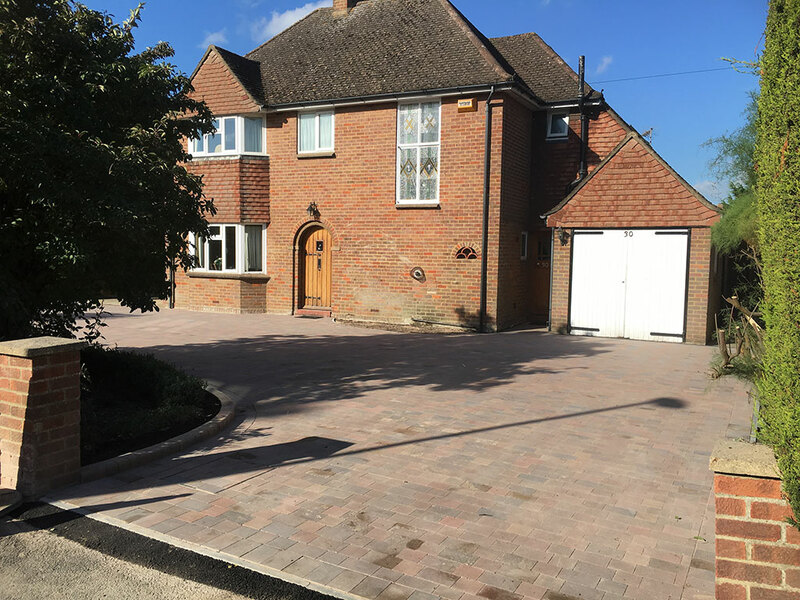 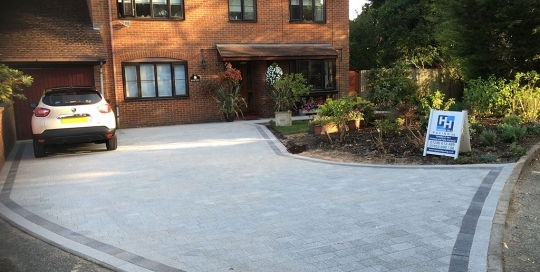 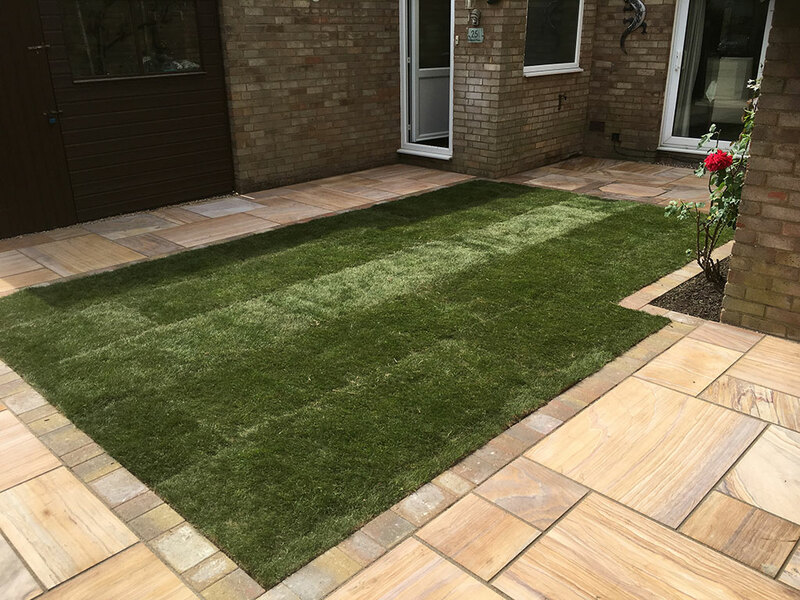 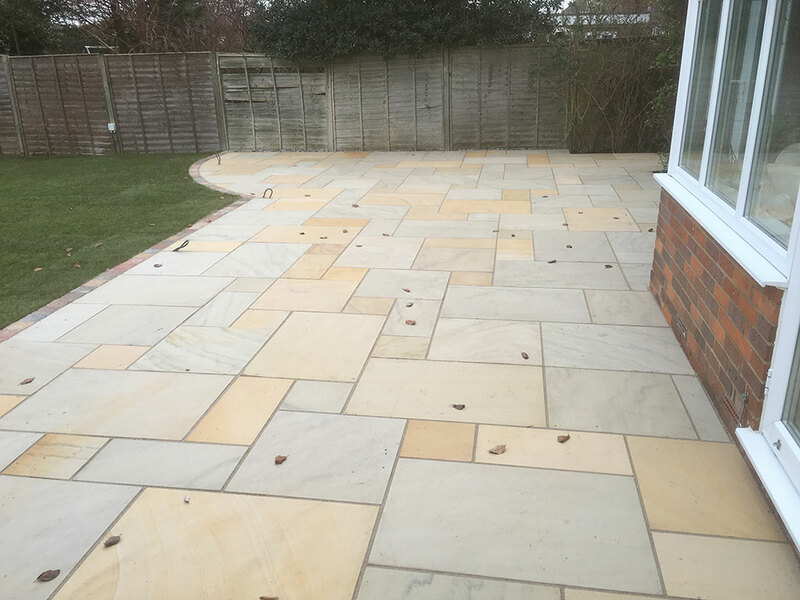 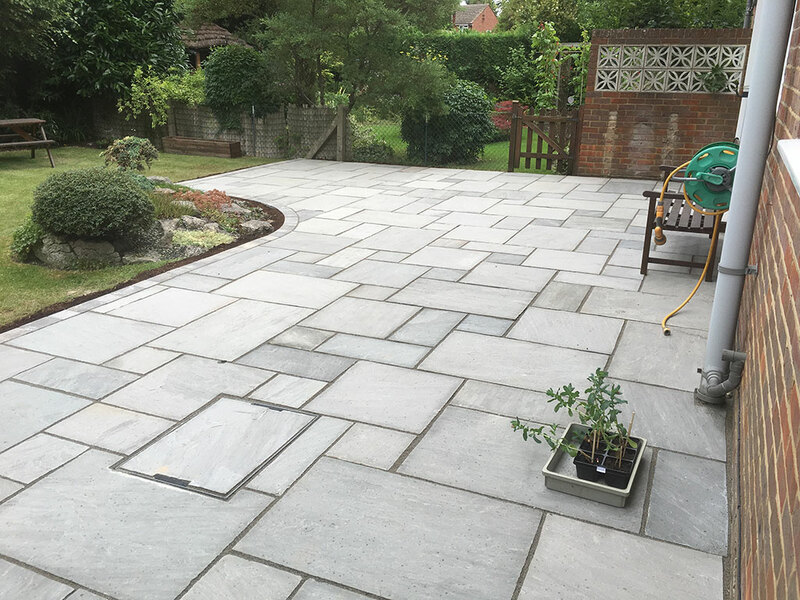 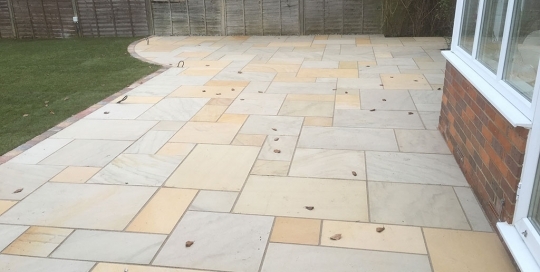 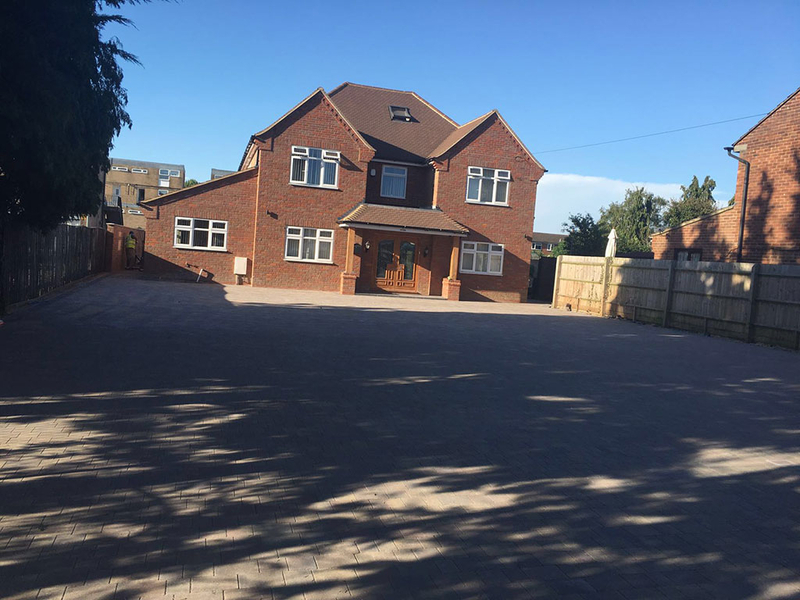 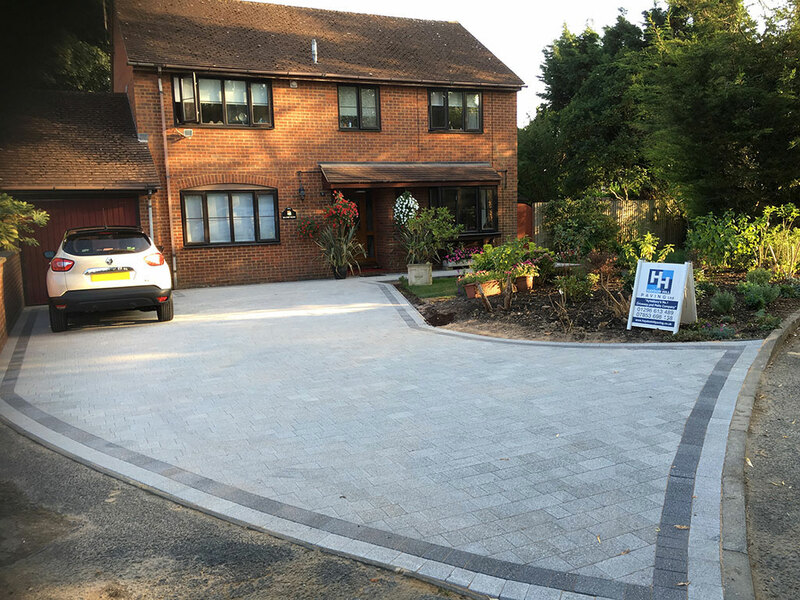 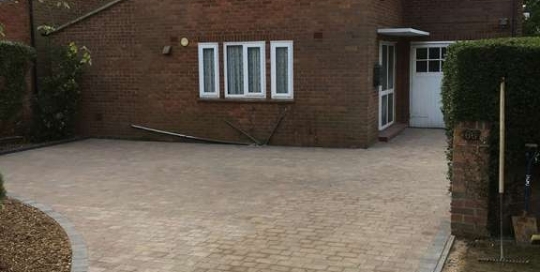 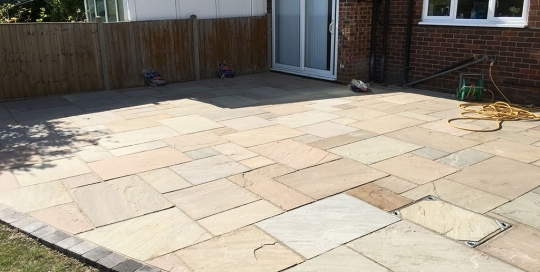 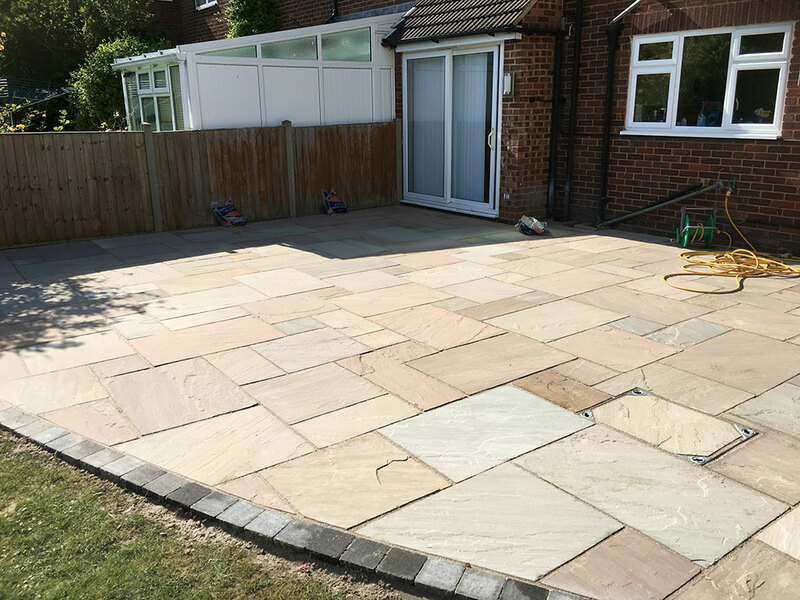 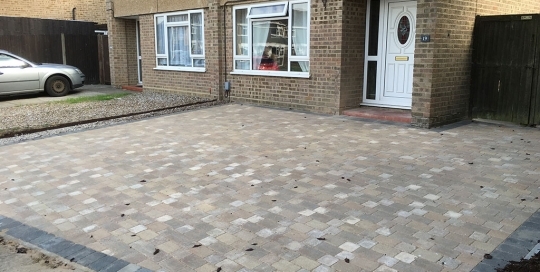 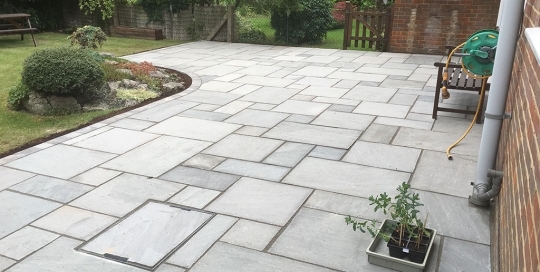 Complete front garden transformation including new driveway installation using Brett Beta Trio Rustic Bronze (new for 2016), 3 sizes, finished with Charcoal Tumbled block border and 100m2 flowerbed using high raised key kerbs finished with Oxford White Gravel. 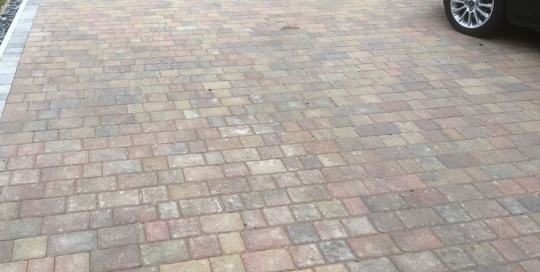 New brick wall built at front of property using Topaz Brick. 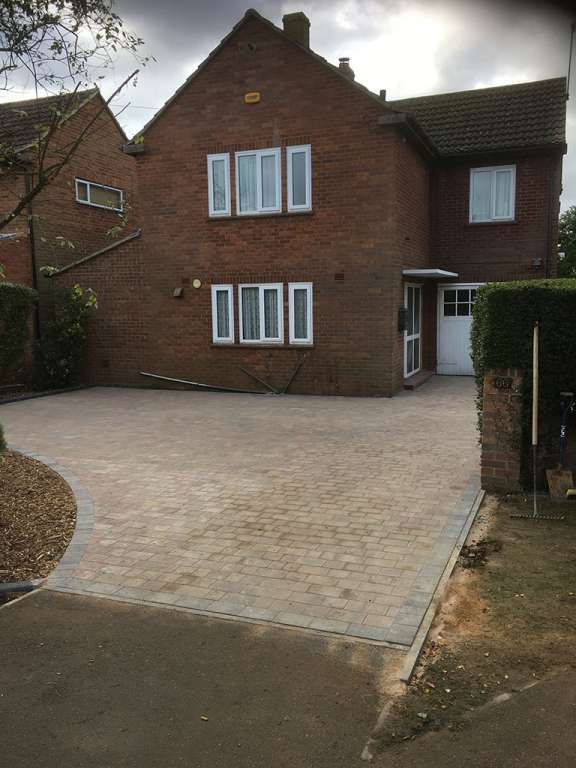 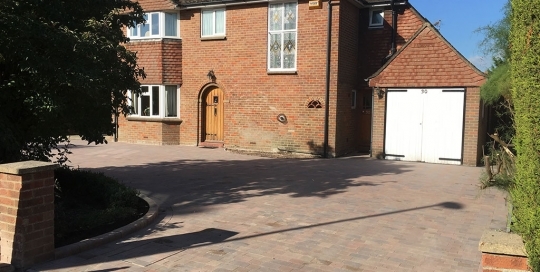 New driveway installed using Bradstone Woburn Original Rustic Tumbled Block, 2 sizes finished with high raised bull nosed key kerbs around entire flower bed. 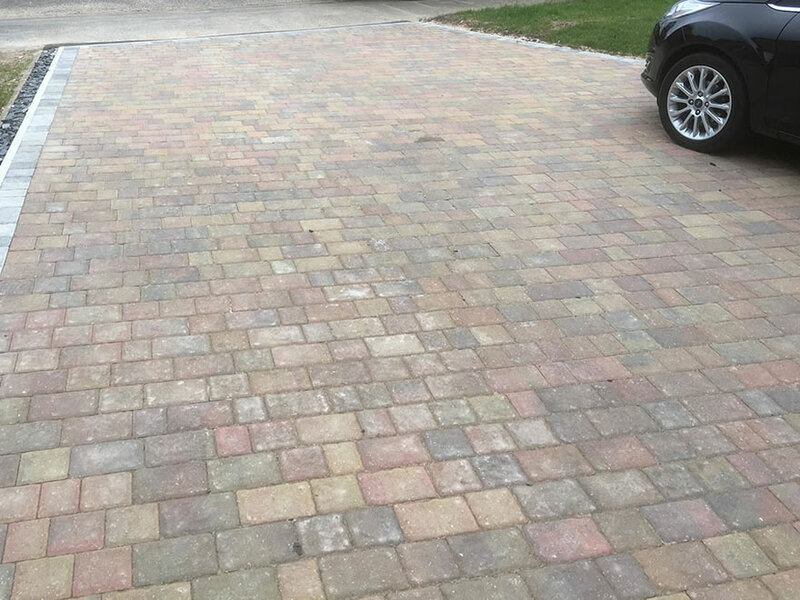 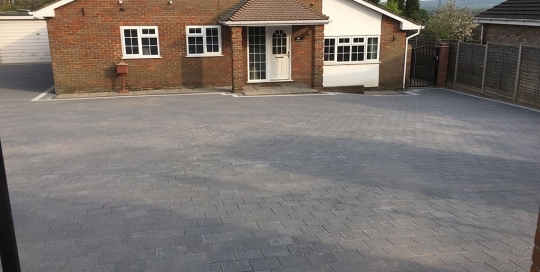 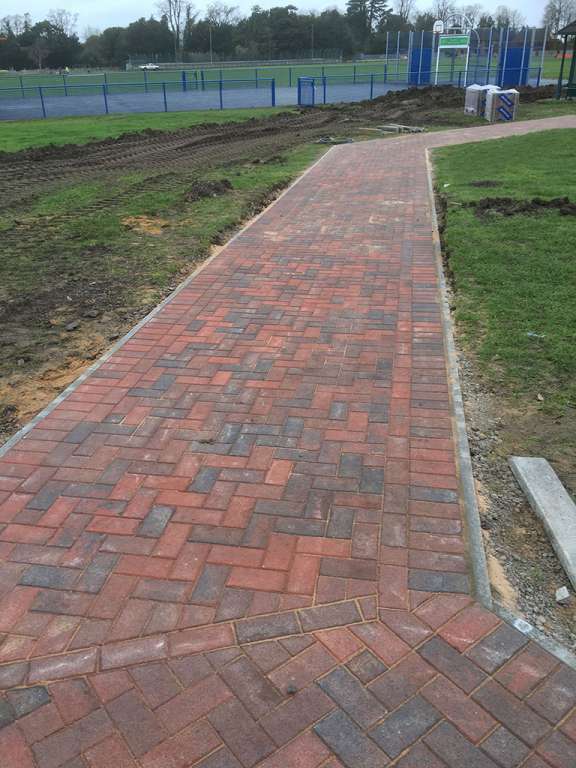 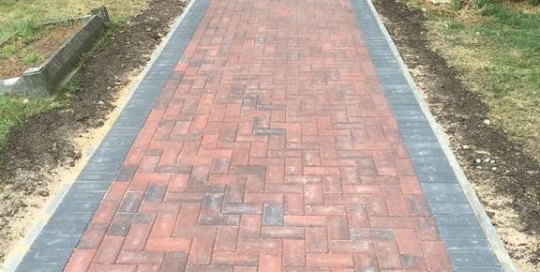 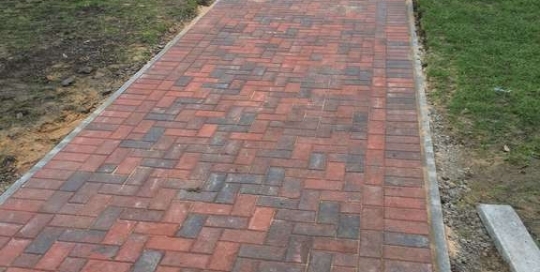 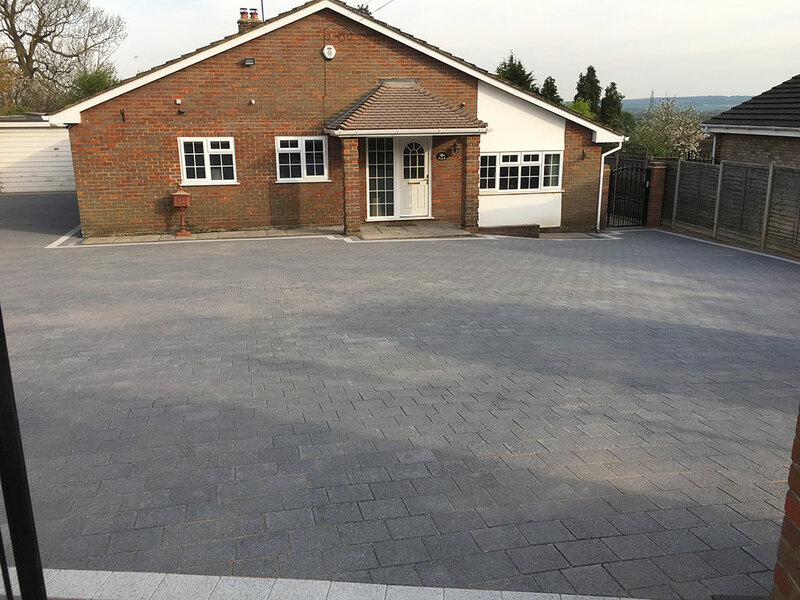 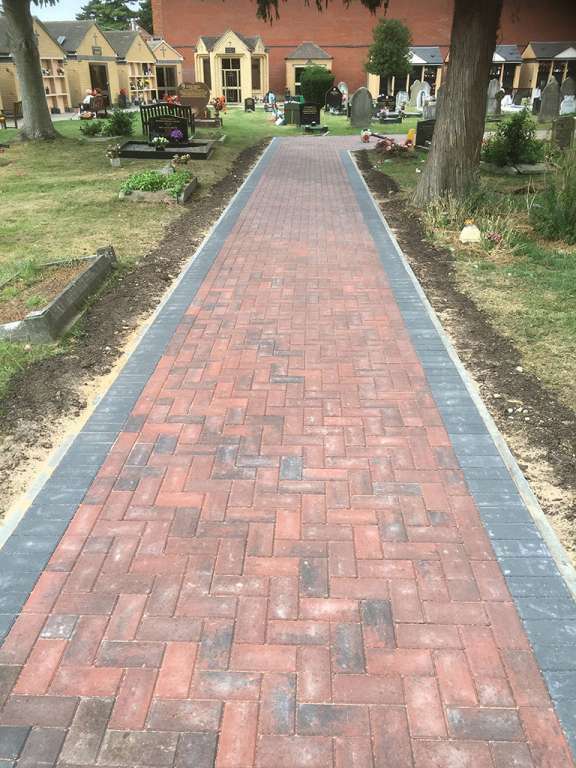 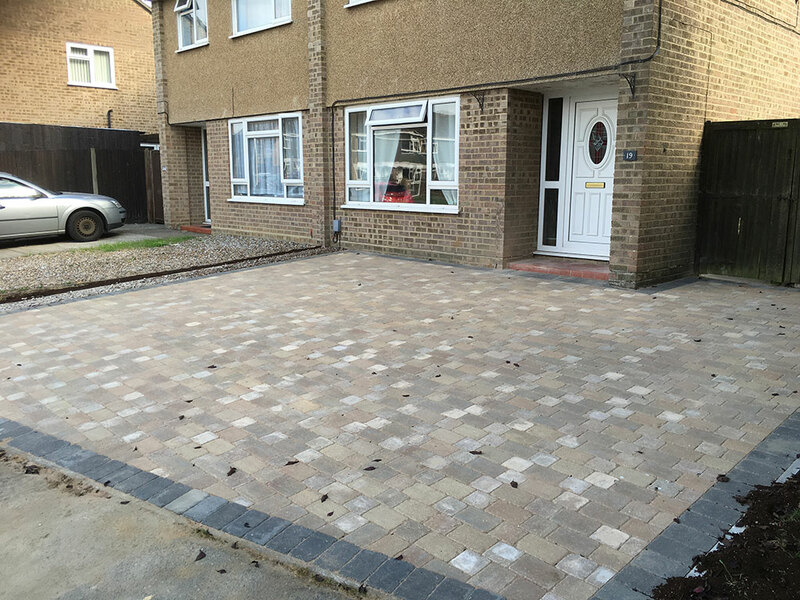 New driveway installed using Brett Regatta Trio Autumn Gold Tumbled block, 3 sizes finished with Charcoal Tumbled block border.